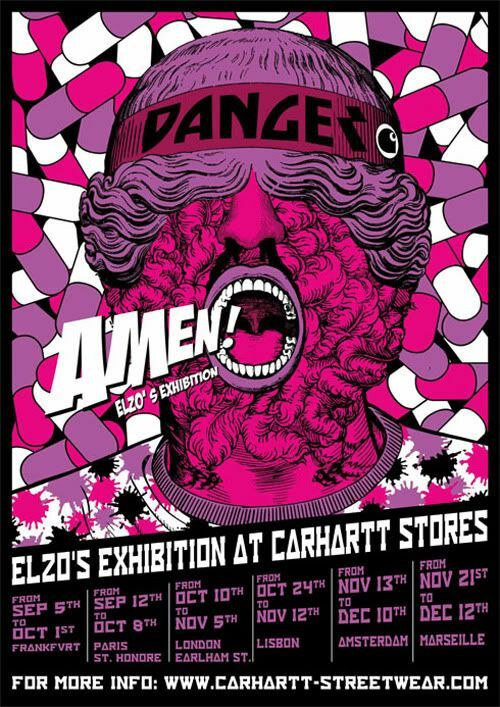 Known for his work on the Yama Mental Weirdo Asylum deck series and for his current RUGGED cover story, Belgian artist Elzo Durt tours Europe with his own exhibition called AMEN! Exhibiting in the Earlham Street Store in Covent Garden from 11th October until 5th November. Launch Party in the Earlham Street Store @ 7.30pm, 10th October. Expect all the usual free drinks from Meantime Brewery and resident DJ’s.